The man suspected of opening fire inside a Chicago hospital Monday, killing three people before he too was fatally shot, was fired from the Chicago Fire Department Academy in 2014 after he was accused of "bullying" female cadets, fire officials said. Juan Lopez, 32, had joined the city’s firefighting academy but was kicked out for incidents stemming from what officials described as aggressive and inappropriate behavior toward women, spokesman Larry Merritt told NBC Chicago. Lopez entered the academy on March 17, 2014, and was fired on May 22. The official cause of his termination was listed as being absent without leave (AWOL) after apparently failing to appear to address the charges. "He was accused of bullying," Merritt said. "In the end, he didn’t show up, was called to respond, and he was fired." About five months later, in December of 2014, an order of protection filed in the Circuit Court of Cook County by his wife at the time accused Lopez of pulling a gun with "intent to harm." The complaint alleges that Lopez "became threatening" during separation proceedings, and on Dec. 1, 2014, it alleges, "he began sending threats via text message to come to my job and cause a scene." His wife at the time wrote in the filing that the incidents "have caused much anxiety and fear," adding, "I fear that my safety is in jeopardy." Nearly eight months after the filing, his wife filed for divorce on July 29, 2015. Most recently, Lopez worked as an associate program specialist in the customer care center at the Chicago Housing Authority's headquarters in the city's Loop, where he was hired in February, according to CEO Eugene E. Jones Jr.
"This was an unthinkable act of violence," Jones said in a statement. "We are filled with overwhelming sadness and our hearts go out to the families of those who died, and to all affected by this horrific tragedy." The housing authority said background checks are done on all employees before they are hired. "Lopez was approved for hire after undergoing the usual background checks. There is no history of complaints about him during the course of his employment at CHA," Jones said in a statement. Lopez allegedly killed a doctor - who police said he was in a domestic relationship with - in a shooting that began outside Mercy Hospital. He then shot and killed a police officer and pharmacist as the gunfire shifted inside the building. 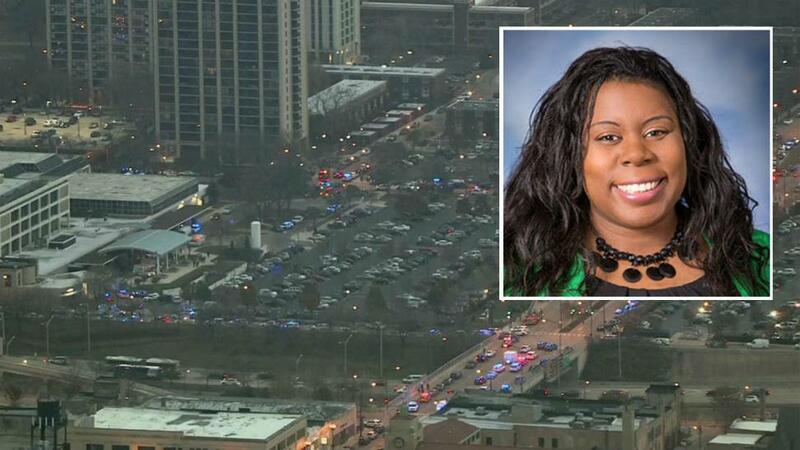 Dr. Tamara O'Neal, 38, was leaving after her shift, according to the hospital, when Chicago Police Supt. Eddie Johnson said she and Lopez got into a verbal altercation in the parking lot. A friend tried to intervene in the argument, Johnson said, and Lopez lifted his shirt and displayed a handgun. The friend fled into the hospital, and witnesses said they saw Lopez shoot O'Neal at least six times in the parking lot. As police arrived at the scene, Johnson said Lopez shot at officers before they exited their cars, and then ran into the hospital, where he and police engaged in an exchange of gunfire. During the exchange, a pharmacist was exiting an elevator when she was fatally shot, Johnson said. A 28-year-old police officer was also shot in the exchange and taken in critical condition to the University of Chicago Hospital. He later died from his wounds. "It's with profound sadness that we share the death of PO Samuel Jimenez from tonight's senseless active shooter incident," police spokesman Anthony Guglielmi tweeted Monday. "Please pray for his family, his fellow officers & the entire #ChicagoPolice Department." Authorities identified the pharmacist who was killed as 24-year-old Dayna Less, according to the Cook County medical examiner's office. "She loved helping others. She was good at her job because it helped others. She was forged in her own adversity which made her the strongest person I will ever know," her family said in a statement. 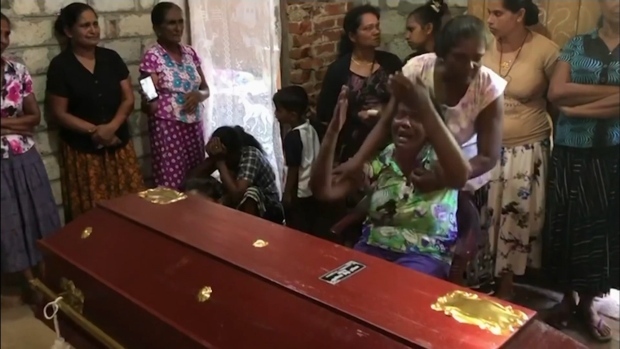 The doctor killed was remembered by loved ones as a dedicated emergency room physician who "loved helping people" and "had a heart of gold." Authorities confirmed Tuesday that Lopez did have a concealed carry permit and had purchased approximately four weapons in the last five years. It was not immediately clear if one of those weapons was used in Monday's shooting. Detectives worked overnight to process the scene, with bullet holes and shell casings visible, surrounding one Chicago police SUV. Mercy Hospital officials said it held its first active shooter drill one month prior, and praised the staff's response. The incident remained under investigation Tuesday. "This tears at the soul of our city," Mayor Rahm Emanuel said. "It is the face and the consequence of evil."